Turning 50 should be something to celebrate. The Experience account, in Danish "Oplevelseskontoen" is an integrated concept, offering 50+ bank customers some VIP treatment to celebrate that they have turned 50. Building on an insight that many banks at the moment did tend to treat their 50+ customers as seniors, the banks behind The Experience Account would very much like to stand out with another opinion showing. The service concept was build with VIP arrangements, an online service for ordering travels and housing as well as specialized bank services. What began as a campaign involved into a new strategy, manifesting itself as a service concept, strengthening the ties to new and old customers alike, with interest events resulting in response rates to direct mail beyond 100%. "Are you still a gourmat?" 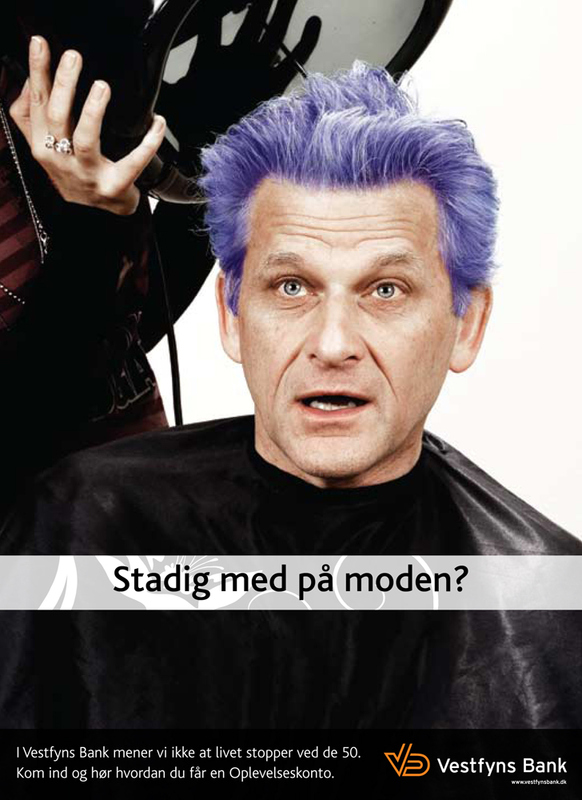 is asked in this ad, followed by the copy "In Vestfyns Bank we don't believe in life stopping at 50. Step right in, and we'll tell you how to get an Experience Account." "Are you still up to speed?" is asked in this ad, followed by the copy "In Vestfyns Bank we don't believe in life stopping at 50. Step right in and we'll tell you have to get an Experience Account." "Are you still in fashion?" 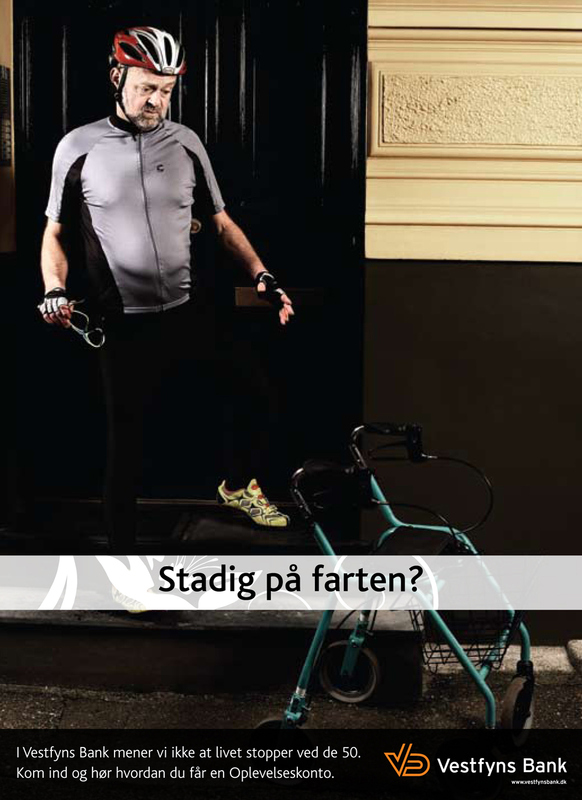 is asked in this ad, followed by the copy "In Vestfyns Bank we don't believe in life stopping at 50. Step right in and we'll tell you how to get an Experience Account." Coined the mood video, this sequence was used as a living mood board for presentations and meetings concerning The Experience Account.